H.I.P.P. (Holistic Innovation for a Progressive Planet) welcomes you to “Rewilding Hamilton,” a special presentation by accomplished young author and Colgate University alumnus Randy Tzu. Mr. Tzu will put forward the controversial proposal to reintroduce wolves to the surrounding area as part of a solution to control the overpopulation of white-tailed deer. That is until his Mandarin translator turns into a deer, he himself is transformed into a wolf, and what began as a science talk goes suddenly very wild. 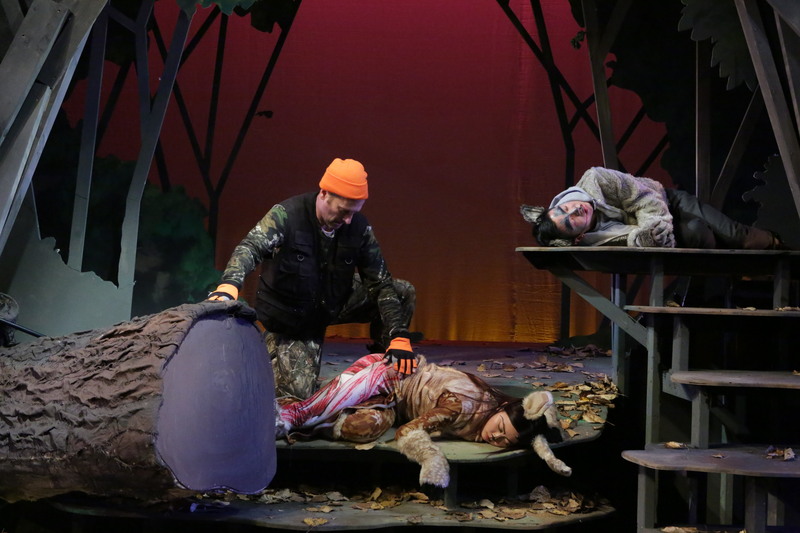 Part fairytale, part nature documentary, and part Brechtian interrogation of the stories we tell about animals, Seeing the Beast was the result of a semester long residency at Colgate University. Director Scott Sheppard lived on campus in Hamilton, NY and worked with LRS Co-Director Mason Rosenthal, Colgate professor Ken Watt, and an ensemble of students to create this original work of theatre.